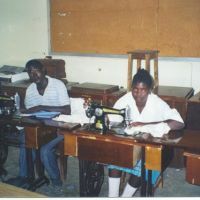 Folk Development Colleges (FDCs) provide vocational training for students in largely rural areas. FUM supports the three FDCs in Tabora Region, at Mwanhala, Urambo and Sikonge, including support with bursaries for poor students. 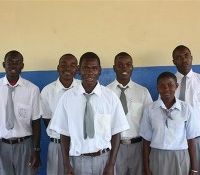 FUM's student sponsorship scheme is focused on children from Imeli Primary School in the centre of Nzega township. 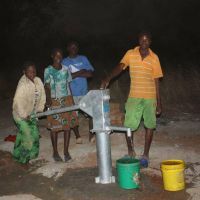 For many years we have been seeking ways of providing Mwanhala with a safe and reliable water supply and are pleased to announce that our efforts have met with success. A borehole has been sunk in the grounds of the FDC and is able to supply 1000 litres of clean water each hour.